No matter how many discs you have or which type you're working with, shrink wrap is ready to handle the job. Simply put, it works when plastic film is placed around the discs and heat is then applied to the film. The heat shrinks the polymers in the plastic film, causing it to conform to what it touches. 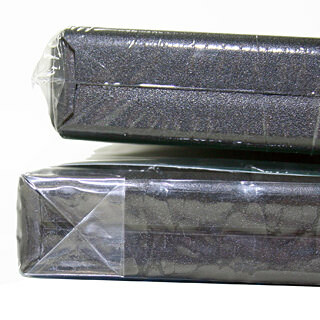 A media duplication service or the purchase of in-house equipment will take care of shrink wrap packaging. Shrink wrap works well with bulk orders and keeps your media project safe from the elements: moisture, dust and exposure. The DVD case on the bottom is overwrapped and features a neatly folded edge. The DVD case on top has been sealed using shrink wrap.